As many of you may already know Liz Earle have finally given in to their customers pleas and have come up with a Skin Tint which is a rich tinted moisturiser with SPF15 which is fantastic. There are 3 shades to pick from I was a little unsure whether I would be between 01 Bare and 02 Beige. I can 100% say I am 02 Beige, as soon as I swatched both of these on my hand I knew straight away. As you can see from the swatches 01 Bare is VERY light but I can actually get away with it, I did try it and used bronzer over the top which was fine. I have dry skin so this feels great on my skin, many tinted moisturisers I've tried in the past have either been to wishy washy or hardly pigmented. Sheer Skin Tint has a lovely coverage and gives great moisture to the skin. I think this will be great for everyone especially with the change of seasons happening very soon. It wont be long before the cold weather starts to appear and I know my poor dry skin suffers, but luckily with this it should be fine! OK so I was very brave and took a photo of my naked face and then took another photo after I applied 02 Beige and then a finished photo showing my makeup look. Brace yourselves for the first photo!! Isn't makeup a wonderful thing! ha ha! I look so different from the first to last photo. 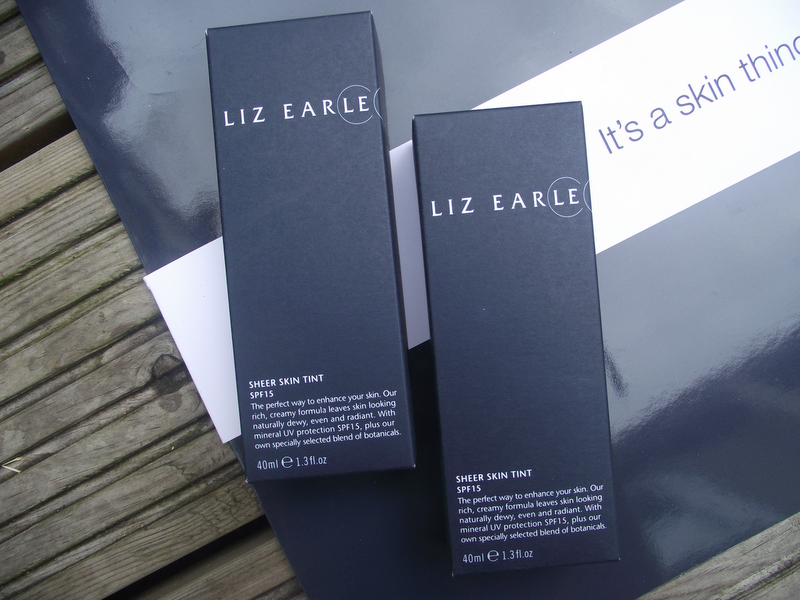 Liz Earle Sheer Skin Tint will be available from September retailing at £21 for a 40ml. This is a great review Sherrie and it looks lovely on your skin. :) I have Beige too (review coming soon) and looking at your pics Bare would definitely have been too light. You look gorgeous Sherrie! I am around NC30 but I can easily get away with shade 1 too. It just blends into the skin really well I suppose. Great review! It is indeed very brave to put a bare face pic on a blog so well done! Although you don't have anything to worry about, you're a stunner!